Canada’s top men’s curlers will be presented with a unique opportunity next season, it was announced today by the Canadian Curling Association. Three Season of Champions events were awarded to Alberta today, and will become known as the Triple Crown. It will start with the 2014 Canada Cup, Dec. 3-7 at the Encana Arena in Camrose. It will be followed by the 2015 World Financial Group Continental Cup, Jan. 8-11 at the Markin MacPhail Centre International Arena at Canada Olympic Park in Calgary. And to cap it off, the 2015 Tim Hortons Brier Canadian men’s championship will make a triumphant return to Calgary, Feb. 28-March 8 at the Scotiabank Saddledome. It will be the seventh time Calgary has played host to the Tim Hortons Brier, and the fourth time it’s been played at the Saddledome — the three previous visits to the Saddledome (curling capacity: approximately 19,000 seats) produced Alberta champions: Kevin Martin in 1997 and 2009, and Randy Ferbey in 2002. Calgary previously played host in 1948, 1961 and 1980. 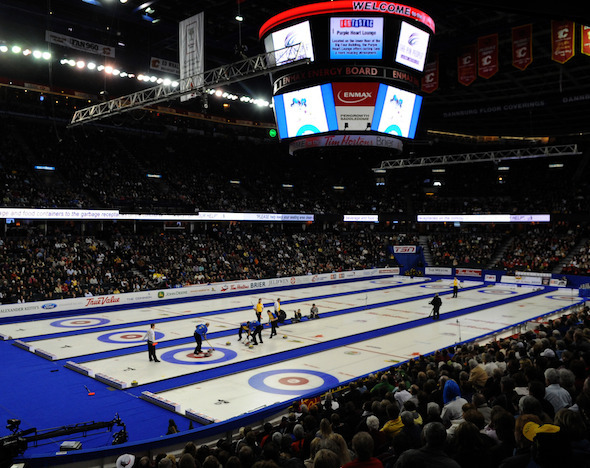 The 1997 Brier featured the single-game attendance record for the event: 17,024. The 2015 Tim Hortons Brier will mark the 11th year of title sponsorship of the Canadian men’s championship by Tim Hortons. The 2015 Tim Hortons Brier will also be notable as it will feature, for the first time, both a Team Canada entry — the winner of the 2014 Tim Hortons Brier in Kamloops, B.C. — as well as a pre-qualifying round that will determine the final 12-team field for the main round robin. Fifteen teams (the 14 Member Associations and Team) will be eligible to compete in the Tim Hortons Brier. Four teams will compete in the pre-qualifying round just before round-robin play begins to determine the final two entries. The format will be announced at a later date. 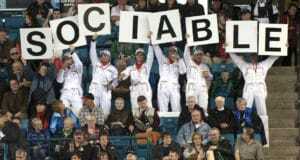 According to an EventCorp study from the 2009 Tim Hortons Brier, of the 13,500 people who live further that 100 kilometres from the Greater Calgary region, 87 per cent (11,600) came to Calgary for the expressed purpose of attending the Brier. In the aggregate (excluding their admissions and expenditures at the Brier venues), these out-of-region visitors directly spent $17.3 million during their Brier stays in the Calgary area. It will the second time a Season of Champions event has been staged at Encana Arena in Camrose. The 2,300-seat facility played host to the 2008 Continental Cup, won by Team World over Team North America. The Canada Cup will feature seven men’s and seven women’s teams — 2013 Tim Hortons Roar of the Rings Canadian Curling Trials men’s and women’s winners Brad Jacobs of Sault Ste. Marie, Ont., and Jennifer Jones of Winnipeg; the champions of the 2014 Tim Hortons Brier and Scotties Tournament of Hearts; and the next five best teams of each gender based on the 2013-14 Canadian Team Ranking System. More than just cash (a $140,000 purse) is on the line at the Canada Cup; the winning teams will get berths into the 2017 Road to the Roar Pre-Trials and will also compete a few weeks later in Calgary at the WFG Continental Cup. The WFG Continental Cup, meanwhile, also will unveil a new format in Calgary as for the first time ever, Team Canada will take on the rest of the world in curling’s version of the Ryder Cup (see separate release for more information). 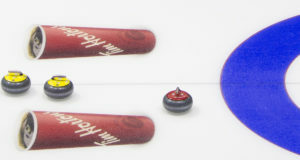 Team Canada will have six teams (2013 Tim Hortons Roar of the Rings men’s and women’s champions Jacobs and Jones); the 2014 Tim Hortons Brier and Scotties Tournament of Hearts Champions and the 2014 Canada Cup champions) taking on an all-European side in a variety of curling competitions, including traditional team games, skins, mixed doubles and singles. 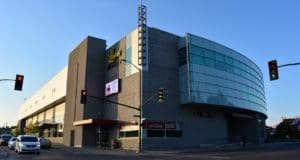 It will be the first curling event ever held in the International Arena at the Markin MacPhail Centre, which is located at Canada Olympic Park where numerous events were held during the 1988 Winter Olympics. It was opened in 2011, and its centrepiece is the 3,000-seat International Arena. All three events will be televised exclusively and extensively in Canada by TSN and RDS, the official broadcast partners of the CCA’s Season of Champions.